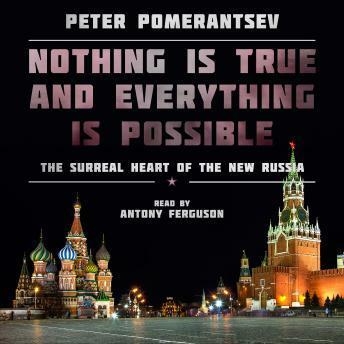 Listen to "Nothing Is True and Everything Is Possible: The Surreal Heart of the New Russia" on your iOS and Android device. I truly enjoyed the book and thought the story line as well as how the author played a role in what was changing in Russia very interesting. The USSR was always of interest to me and this book takes you on a road where millionaires are made everyday in the new modern Russia and how things are not as they seem. I also thought the Narration was very good and strong and kept my interest. A very good read! I actually enjoyed this book, for the most part, though I found it to be a little disjointed. The narration, however, was not consistent or accurate with regard to the varying dialects. At a minimum, and narrator should be able to do a Russian dialect somewhat proficiently to narrate a book like this. Often his Russian dialect would be different from one sentence to the next, sometimes veering into West African, if you can believe it. I'd still recommend the book, but if you have and issue with poor dialect work, this one isn't for you.